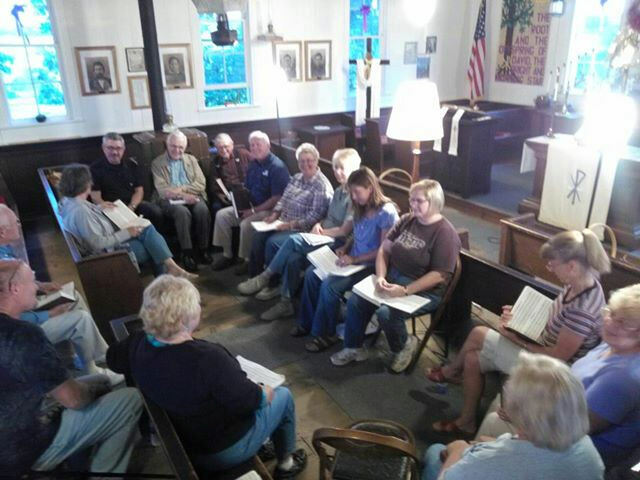 Our group sings a Capella four part harmony music, and uses the Sacred Harp, a collection of sacred songs, and anthems, published continuously since 1844. The music is written in standard musical notation, but is supplemented by shaped note heads, originally intended to accommodate those who could not read music. About the music. Music from the "Sacred Harp" does not follow rules of conventional harmony, but uses a polyphony style in which no one part stands out . Often the chords in the harmony change with every note, making the harmony freely moving or dispersed. 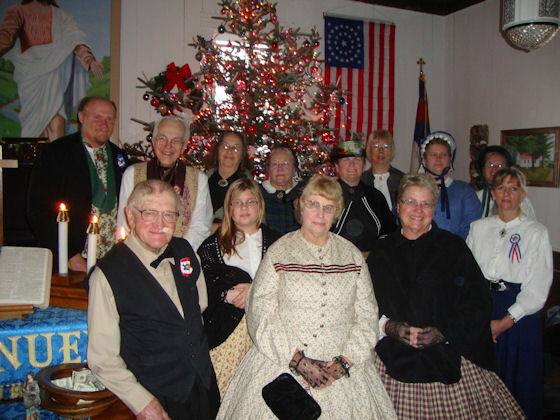 The music includes 18th century New England fuging tunes, anthems, folk and gospel hymns, camp-meeting songs from the 19th century, and some modern tunes in these traditions. Shape note singers gather for enjoyment, not in preparation for performance. There is no need to proficiently read music, and all are welcome. Find a Singing in our Area! Sacred Harp is a haunting form of shape note hymn singing with deep roots in Early America that has survived over 200 years. The first feature documentary about Sacred Harp, “Awake My Soul” captures both the history and the vitality of a music that is utterly unlike any music most have ever heard. Over the course of seven years, two Atlanta film makers, Erica and Matt Hinton, have painstakingly amassed hundreds of hours of traditional Sacred Harp singings in the southeast as well as interviews with the most prominent traditional Sacred Harp singers and composers. Copyright 2007-2018. Mt. Union Church Association, Inc All rights reserved.